Energy drinks have been sold on the open market around the world for some time now. In October, it was reported by authors Jennifer Nicole, Zachary A. Taylor, Vikas Khullar and Maryam Sattari in an article titled “Rare cause of acute hepatitis: a common energy drink,” that the drinks are linked to acute hepatitis. As reported by the authors, a 50-year old man developed acute hepatitis from repeated and excessive energy drink consumption. The unidentified man worked long labor intensive hours in construction. Due to a lack of appetite, abdominal pain, nausea and vomiting he went to the emergency room thinking he had the flu. He stated that he was alarmed when his urine turned dark in color and his eyes and skin yellowed, which are signs of hepatitis as reported. Before becoming sick and ill he reported good health, abstaining from tobacco, alcohol and illicit drugs, according to authors and researchers from University of Florida College of Medicine. He reported that he hadn’t changed his diet recently, nor was he taking prescription medications. Though he had gotten a tattoo in his 20s, the construction worker had never had blood transfusion, nor had he engaged in high-risk sexual behavior, both common methods of hepatitis transmission. Finally, the man had no family history of liver disease, according to the report. 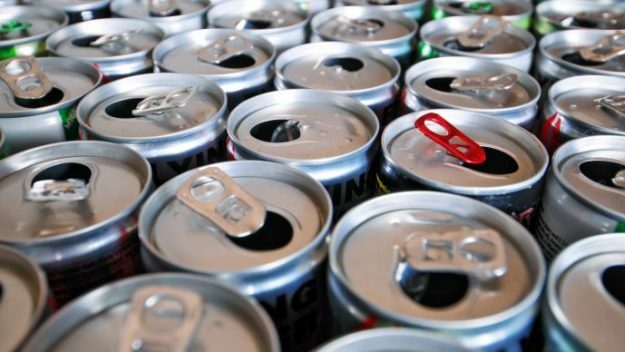 With the man reporting a clean health record, one behavior stood out to the authors and researchers: the worker consumed four or five energy drinks a day for three weeks before he was hospitalized. The brand of energy drink was not identified in the report. With the risks of hepatitis known, laboratory testing was preformed and the results revealed that the patient had an underlying chronic hepatitis C, or HCV, infection, but the authors and researchers found that the virus was not the cause of his acute hepatitis. The patient’s blood contained HCV antibodies, which aren’t present in blood until about 10 weeks after exposure, according to the report. Since the patient showed symptoms for only two weeks, the antibodies in his blood were evidence of chronic HCV, rather than acute HCV.